I recently ran into Eddie Trunk at a festival and we talked about the great Ronnie James Dio. When asked for a story, Eddie told me about his time with Ronnie at a castle in Birmingham, England. Click player above to hear the entire chat. “When he first reunited with Sabbath for Heaven and Hell which was ’06. I went to England to shoot a TV special with him for VH1 classic. We arrived at the hotel at the same time. Anybody that knows traveling to England, because of the time difference, the best thing you thing you can do is not go to sleep when you get there. Even if it is in the middle of the day. Even though you are dead tired. You need to try to adjust to the time difference. I arrived at hotel at the same time as Ronnie and I was dead, dead tired. I was walking in, checking in right at the same time as him and it was like noon. I didn’t even see him coming up behind me and he yelled down the hall. He used to always call me “kid”. “Where you going kid, where you going?”. I go ‘Ronnie I gotta sleep for a couple hours’. He was like ‘no way, no way… you meet me at the pub and we are going to have some drinks, you gotta stay up’. Who’s going to say no to Ronnie? I said ‘o.k. I’ll see you for one’. We must have stayed down there for eight hours and drank and ate and shared stories. Had the time of our lives. It was in an old castle in Birmingham, where we were staying. It’s one of my fondest memories. Truly ending the silence, Skinlab are hinting at new music. From their official Facebook page, they posted what looks to be a title of a new song. I would say it’s a new song due to the fact that Steev Esquivel was recently interviewed on the podcast and stated that the new album would be a “one word title”. You can hear that chat by clicking the link above. We can only hope that this is truly the beginning of a new era of Skinlab and that there are many more songs in the works. Five years ago, New Hampshire-based groove-thrash band DEATH RATTLE self-released their debut album, Man’s Ruin, which served as a striking introduction to the fist-in-face outfit that channeled the musical styles of their favorite bands into sharp-taloned songs that sunk deep. 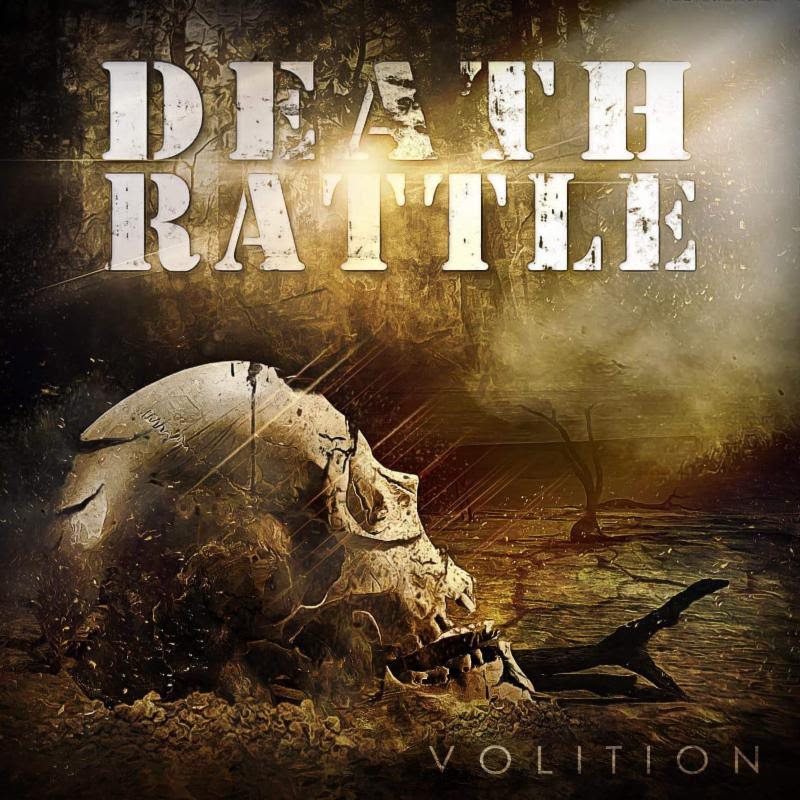 Back, refreshed and heavier than ever, DEATH RATTLE return with their sophomore full-length album, Volition, set for independent release on October 20, 2017. The album is available for pre-order now via Big Cartel – more pre-order options are coming soon! DEATH RATTLE perform thrash with a purpose – music that emphasizes groove and lethal riffage over speed and interchangeable guitar parts. It’s a sound bred from the attitude and angst of New England, a region that has faced economic and social strife and frustration time and again. Yet every time it lowers its head and pushes forward, obstacles be damned. With more time to work on and fine-tune the songs on their second album, DEATH RATTLE were able to approach each cut from various musical directions to see what worked best. The band recorded the final tracks appearing on Volition at Brick Hithouse studio in Cape Cod, MA with engineer Sean Fitzpatrick over the course of several months. DEATH RATTLE will support the release of Volition on their upcoming tour supporting The Convalescence, Wings Denied and Shaping The Legacy. DEATH RATTLE will appear on dates running from October 21 in Placerville, CA through November 18 in Englewood, OH. See below for a full list of tour dates featuring DEATH RATTLE. DEATH RATTLE are out to reacquaint themselves with their old fans and earn a whole lot of new ones with their combination of ferocity, catchiness and determination. Stay tuned for more music videos, tracks and other content releasing in advance of Volition‘s debut.